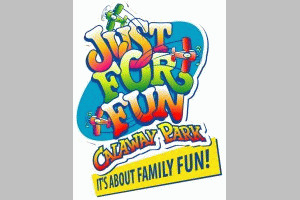 Surrounded by a beautiful country setting, Calaway Park Campground is located just 10 minutes west of Calgary & within walking distance to Calaway Park, Western Canada's Largest Outdoor Family Amusement Park. We have 104 sites, including: full service pull through and back-in, power only & non-service. Take advantage of our coin operated laundry, washrooms with showers, shuttle to the Calgary Stampede & discounted tickets to Calaway Park. Make your reservation today! 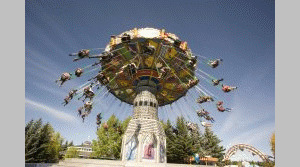 All of our guests receive discounted admission to Calaway Park! If you are planning your stay during the Calgary Stampede (July 5th-14th), make sure to book early! During the Calgary Stampede there will be a shuttle available for a cost of $9.25 + GST per person per round trip (price subject to change). Note: Package cannot be combined with any other coupon, discount, offer, family or group rate. Campground reservation based on availability. Not valid during Stampede, July 5th-14th, 2013. We require three days notice to cancel a reservation without penalty. There will be a $5.00 service fee on all Cancellations with less than 3 days notice. All Cancellations on the day of arrival and No Shows will be charged one nights stay. Fires of any kind are not permitted. We suggest a portable BBQ to cook your food. All sewer hook-ups now require the rigid connector from your hose to our receptacles. Please note: Our main gates are locked from 10pm-6am. STAY WITH US AND YOU'LL WAKE UP TO THE BEAUTY OF THE CANADIAN ROCKY MOUNTAINS! 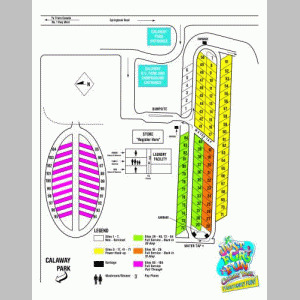 Please visit Calaway RV Park & Campground Website.